The Intern Training Program at Beersheba is a year-long holistic program in agriculture and the Bible. 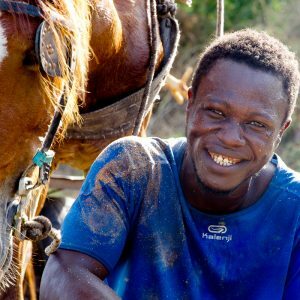 Beersheba invites young men and women from throughout Senegal and West Africa to spend a year working and studying on the farm. Here they gain first-hand experience with sustainable agriculture techniques, animal husbandry, product development, and farming system management in a context where spiritual transformation can happen. Throughout the year, interns and staff explore together how the Gospel works its way out in the local cultural context and in the life and work of a farmer. Our aim is to be a place of transformation, discovering together ways of restoring our land and increasing production in order to thrive as farmers in this region. It is a place where farmers are encouraged to listen and learn from one another, becoming quality, influential leaders in their communities. Interested in interning at Beersheba or sponsoring an intern? Contact Eric Toumieux.